Save the Date Cards are they necessary? What are save the date cards and are they necessary? Save the Date Cards are usually small cards sent out in advance of your formal wedding invitations. They may simply include your names and the date of wedding or can be more elaborate such as cards attached to magnets for example. They are relatively new arrivals in the wedding stationary scene. You might decide they’re not necessary for your wedding but you could also consider them as a nice teaser for your guests, letting them know in advance about your wedding day and requesting that they keep that date free. 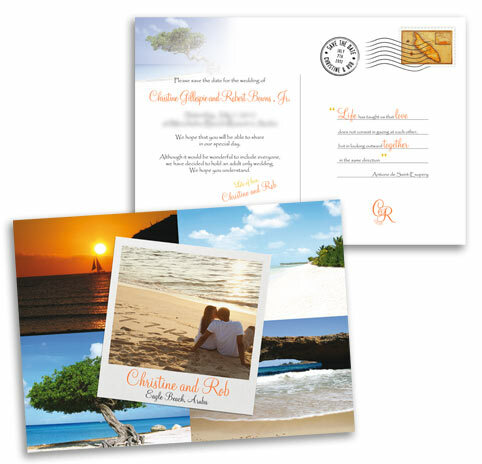 You will certainly want to consider sending them if you are planning a destination wedding or inviting guests from overseas. It will allow them to plan their travel arrangements and may mean they are more likely to be able to attend. Cards can be sent whenever you feel appropriate but between 6 and 12 months is customary. Anything from a simple postcard style notice to something more elaborate. They usually include your full names, date (or week/month) of your wedding as well as the wording "Invitation to follow". You'd be surprised by how many people think a Save the Date is the actual invitation so it's always a good idea to mention that more information or the formal invitation will follow. Click here to see some fun examples of ones designed to look like postcards. These cards were designed to look like luggage tags. 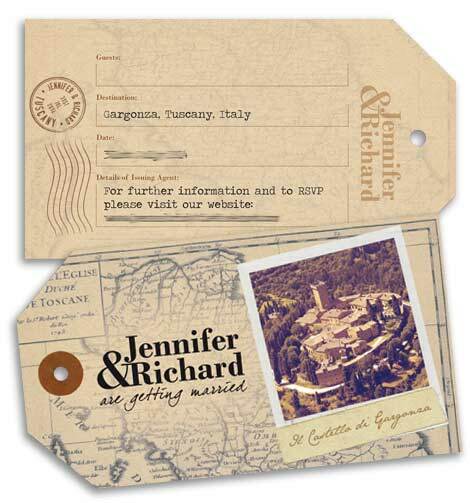 Perfect for a destination wedding they can compliment plane ticket invitations or passports if you want to continue a travel theme. 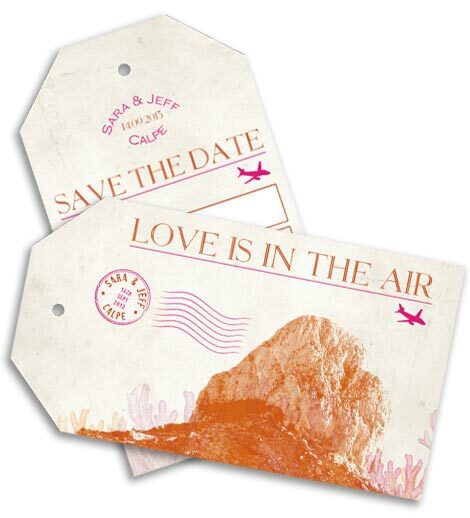 Consider sending your Save the Dates around 12 months in advance if you're planning a destination wedding. This will give your guests enough time to plan and book their time off as well as look for the most affordable option to travel to and stay for your wedding. Traditionally it's not required for people to RSVP when they have been sent a Save the Date but I am working with more couples who are requesting this information from their guests. This helps to get a rough idea of numbers and may influence things like the choice of reception venue. Because of this I have starting designing Save the Date Luggage Tags with a tear off section, similar to the Airline Tickets/Boarding Passes. Contact me if you're considering this option and I will get back to you with ideas. 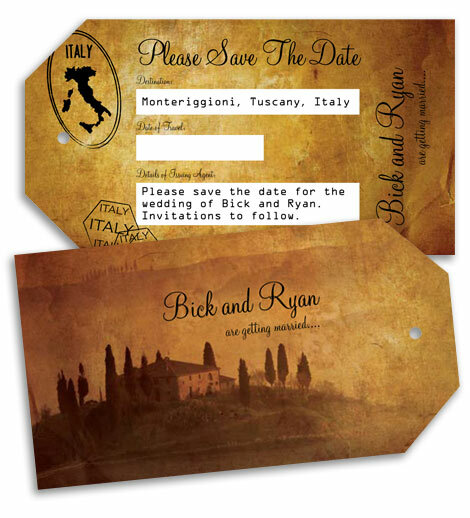 I'll also be adding more examples of Save the Date Cards so check back soon!